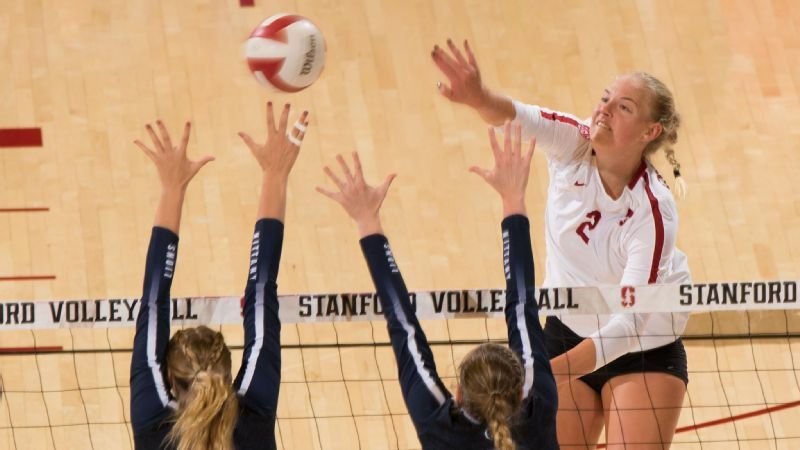 Stanford junior Jenna Gray averages 12.56 assists per set, which ranks second in the nation. 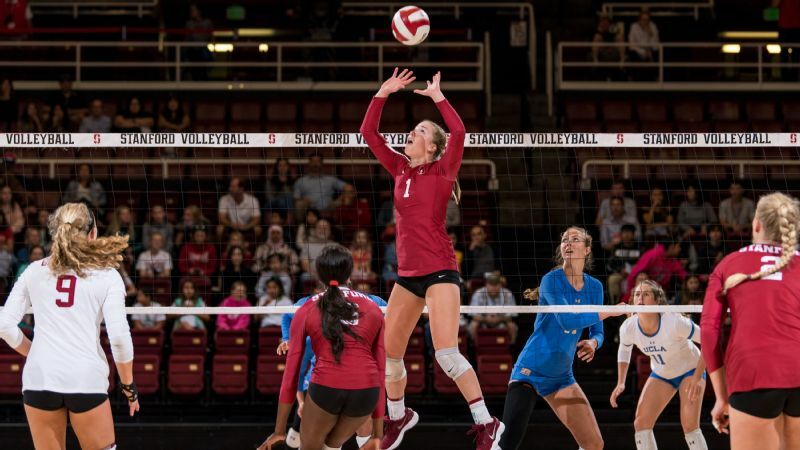 Here's what tells you how good Stanford setter Jenna Gray is: She made her teammate Morgan Hentz laugh during a volleyball match. "Took me three years," Gray said proudly. Hentz, the Cardinal libero, is all business on the court, in a contrast to the goofball she can be off it. The lighter side comes out easily when Hentz and Gray chill over a bucket of balls at the driving range. There are lots of opportunities for giggling as Gray's errant ground balls begin to add up. 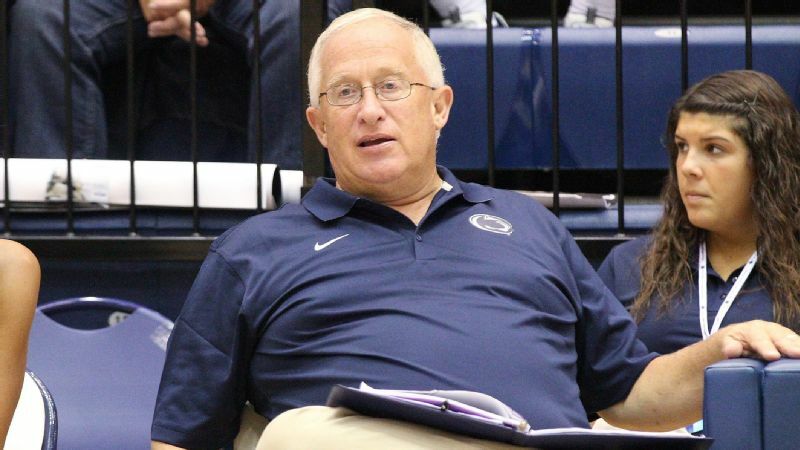 So Gray made it a mission to get Hentz a little more relaxed during games, if only for a moment. She seized the opportunity on the trip to Cal back in September. "We had been talking about out-of-system setting," Gray said. "And Morgan just shot this beautiful ball from the back corner to our outside." Gray walked over and shook her hand and -- voilà! -- Hentz laughed out loud. It was a triumphant moment for Gray and another reason coach Kevin Hambly regards his setter as the nation's best. Gray's sets are on target, and her ability to manage one of the nation's most prolific offenses is unquestioned. But Hambly thinks her biggest strength is a rare leadership style that he hasn't found in anyone else. "Both in action and in words, she says and does what the team needs to push us toward winning," he said. "There's times when she'll get them laughing, and there's times when she'll get on them. "She has an incredible EQ. She understands what people are feeling and need. Then she can act on that. This year she's even better at it than last year because I think she feels more empowered being an upperclassman." 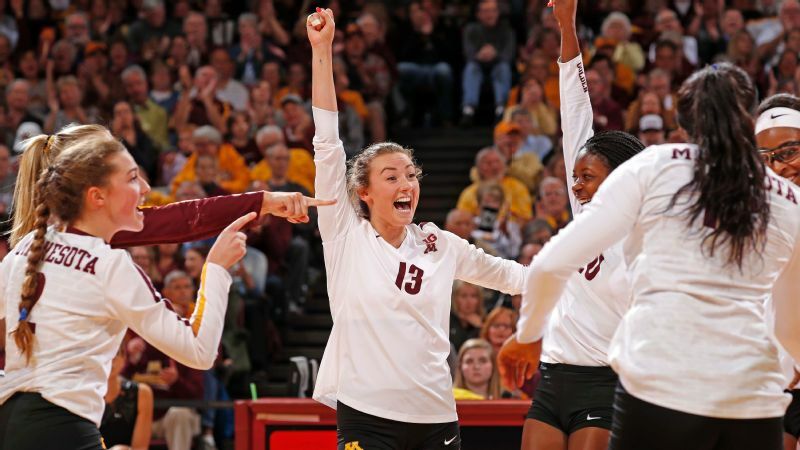 A shared look with outside hitter Kathryn Plummer, who wants the set in the big moments, tells the reigning national and espnW player of the year that the ball is coming her way. Gray loves tapping into her teammates' personalities as well as their hitting styles. "Nobody on the team hits the same ball," she said. Gray's old high school and club teammate, Audriana Fitzmorris, prefers a faster ball, and sophomore outside Meghan McClure can handle even more speed. Gray has pegged middle blocker Tami Alade so precisely that she knows when the senior calls it one way but really wants it another. "She'll be approaching like she's going for a quick hit when she's really asking for a slide," Gray said. "I know what she wants." Gray's chemistry with her teammates is especially important when the Cardinal hit a bump. Hambly recalled a rocky first set at Oregon earlier this month. 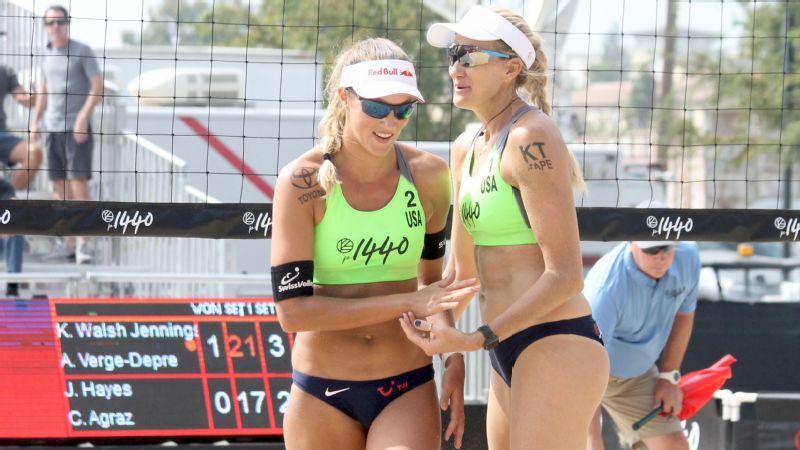 "I saw her doing work between points, between sets, just bringing everyone together. You saw the whole huddle change because of the work she was doing individually." 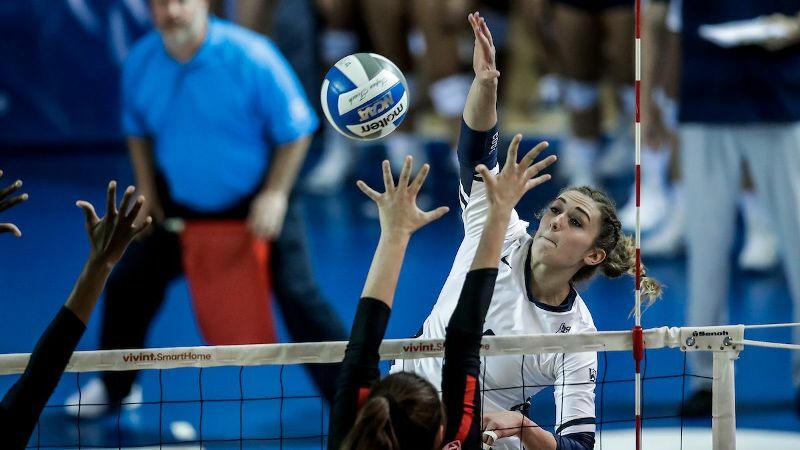 An AVCA first-team All-American last year, Gray's 12.56 assists per game rank second nationally. 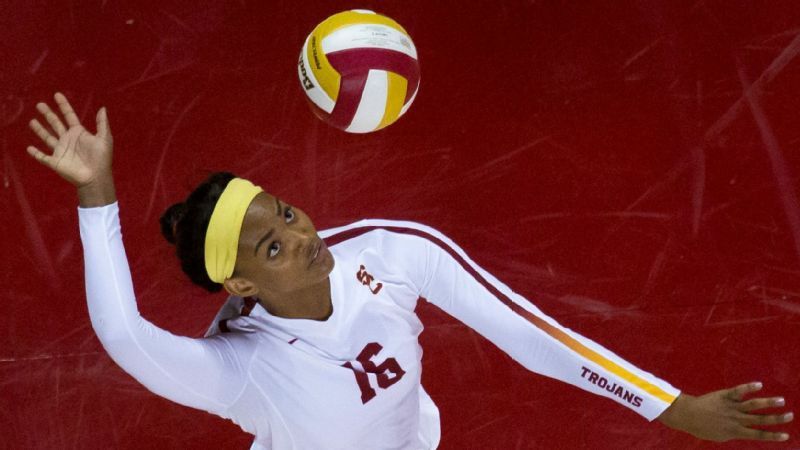 She's also the reigning Pac-12 setter of the year and was named to the all-tournament team at the final four in 2016, when Stanford won the national title. Gray isn't just an elite volleyball player, either. The Cardinal junior was a state champion in javelin in high school. 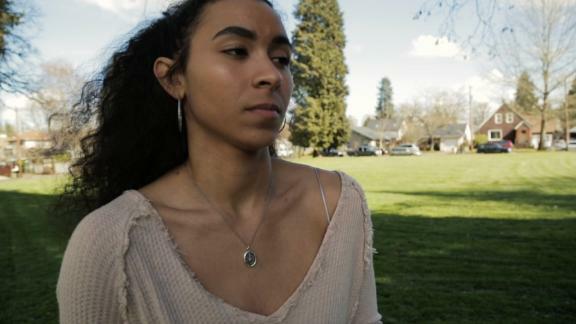 She planned to give it up in college but found the track coaches willing to accommodate her schedule. She was the NCAA runner-up in javelin last year and plans to compete again this spring. While that might seem like a heavy load along with her human biology major, it's not so bad now that she isn't competing in a third NCAA sport. 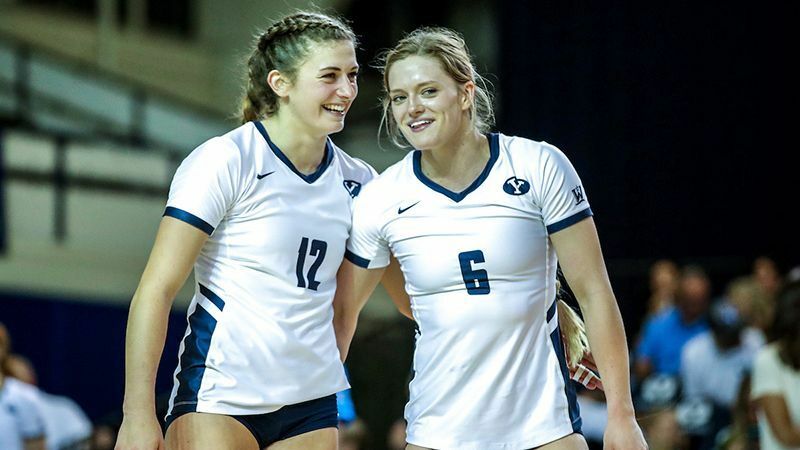 As a freshman, Gray teamed with Plummer to form Stanford's top pair in beach volleyball. "Now that was overwhelming," Gray said. Now Gray's plan calls for trying to win another volleyball national title, something the Cardinal (20-1) look primed to do. Their lone loss this season was at BYU the second week in August. At 12-0 in the Pac-12, Stanford, which hosts Utah and Colorado this weekend, could become the first team to sweep the conference regular season since USC in 2003. Gray remembers the jubilant and unexpected feeling of winning it all back in 2016, when the upstart Cardinal defeated Texas. She wasn't sure she'd play as a freshman, but midway through the season, she became a starter. "I thought we had a good chance to win one sometime in my four years," Gray said. "Never in a million years did I think we'd win it when I was a freshman." Gray ran a fairly simple offense back then, says Hambly, who took over as coach when John Dunning retired following that season. 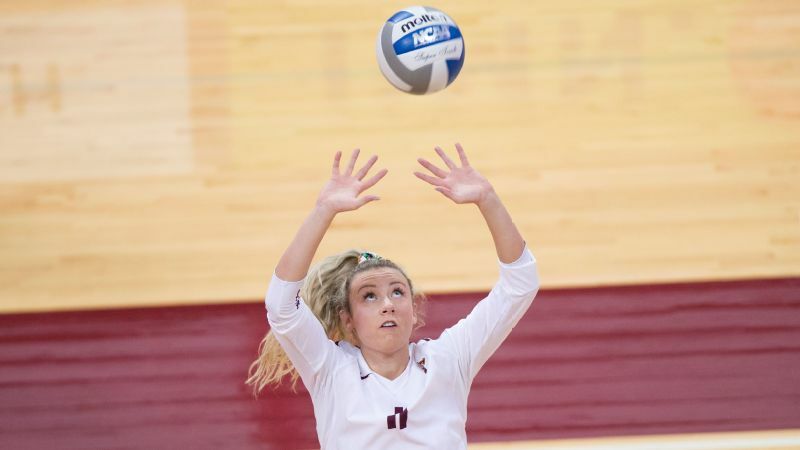 "She was more of a locator of the ball, and as a freshman, I probably would have done the same thing with her," he said. "Now she's manipulating the blocks, and she's setting things up so she can go away from it. She's running an up-tempo offense, and she's doing it from a range that's as good as anyone in the country."